Why is “core strength” so important? 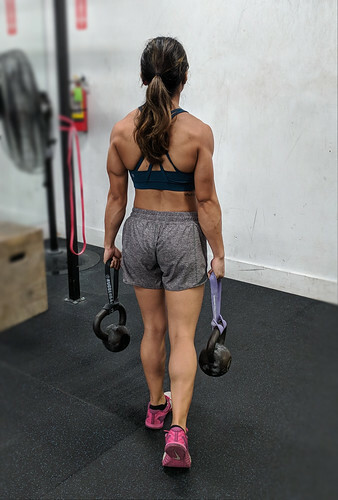 As Dr. Stuart McGill states, “core strength is essential for injury prevention.” If the muscles surrounding your spine were limp, imagine how your vertebral discs could herniate or fall out of place very easily–especially with repeated movements overtime (such as bending and lifting). In other words, the best core exercises are the ones that effectively stiffen and strengthen the muscles surrounding your spine. Don’t know where to begin? 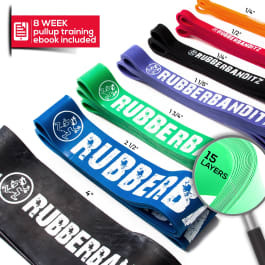 Try these 3 exercises with your Rubberbanditz Bands to develop an injury-proof core. 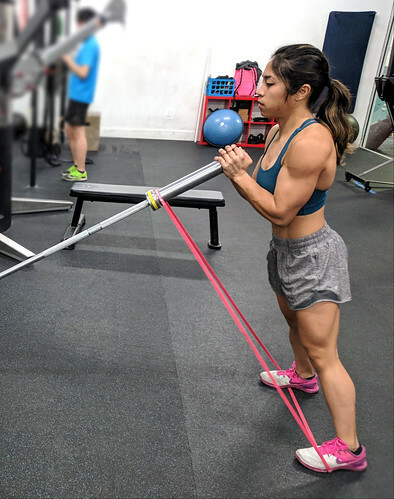 After adjusting the barbell with the desired amount of weight, wrap a Medium Band around the end of the barbell and underneath both your feet. 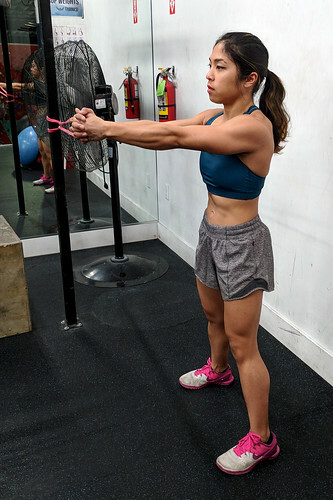 Stand with a wide athletic stance in front of the barbell and cup your hands around the end of the bar. Brace your belly and squeeze your glutes as your press the barbell upward into an overhead press. Slowly lower the weight and repeat for the desired amount of sets. 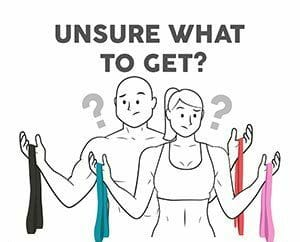 Grab two kettlebells with different weights and wrap a Heavy 12-inch Mini Band around the handles of both of the kettlebells. 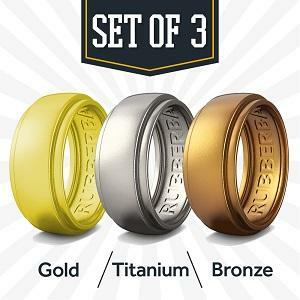 Then grip the bands while walking for the desired amount of distance or time. Feel the kettlebells swinging with different weights, thus off-setting your balance and firing your core to stay tight. Loop a Medium Band at chest height around a sturdy pole. While holding the band, walk away from the pole until you feel a good amount of tension in the band. 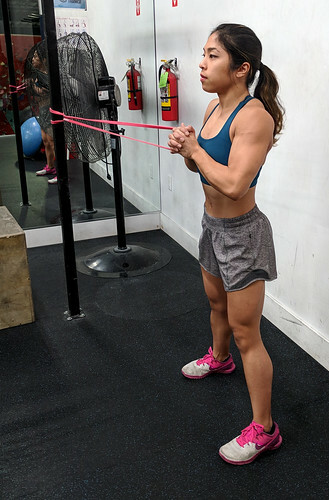 Stand perpendicular to the pole with your feet slightly wider than your shoulders, your arms extended in front of your sternum, and your hands gripping the band at chest height. This is your starting position. Feel the band tugging at you, trying to pull you toward the pole. Resist this by keeping your belly braced, glutes tight, and chest upright. Continue the movement by bringing your hands into your chest. Then, press the band forward to extend your arms in front of you once again (starting position). That's one rep. Repeat for the desired amount of reps or time. 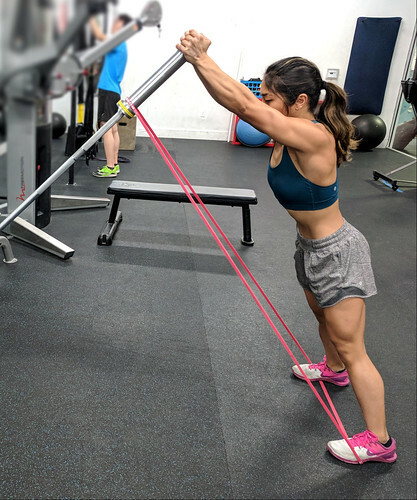 Doing one or all of these core strengthening movements at the end of your workout will not only enhance your athletic performance, but also keep your spine happy, healthy, and injury-proof! Do these movements every other day to allow your muscles to recover in-between workouts. 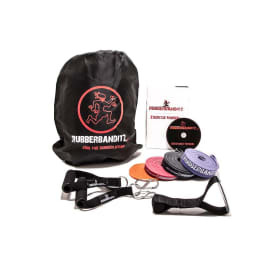 Get stronger today by taking a look at our resistance band selection! Use code NURSENINJA to get 10% off your next order!